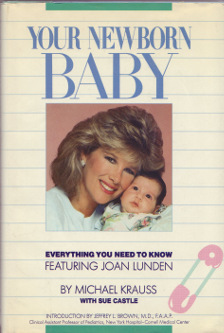 Buy Joan Lunden’s Latest Book! In this brave and deeply personal memoir, the former host of Good Morning America, health advocate, international speaker, mother of seven, grandmother of one and New York Times bestselling author speaks candidly about her battle against breast cancer, her quest to learn and teach about it, and the transformative effect it’s had on her life. What she learned along the way could save your life. 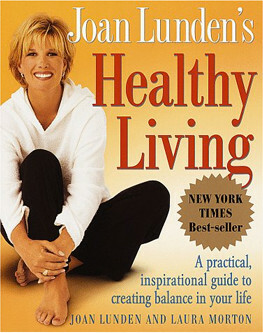 In Joan Lunden's Healthy Living, Joan shares her discovery of the mind-body connection and explains how an this connection can help to promote better health physically and emotionally -- and create a feeling of overall satisfaction in life. 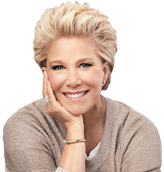 Joan Lunden explains, "Not that long ago I was unfit, unhealthy, and not at all happy about it. Now I feel as alive and energetic as I ever have. Each of us can make a choice to turn our lives around." 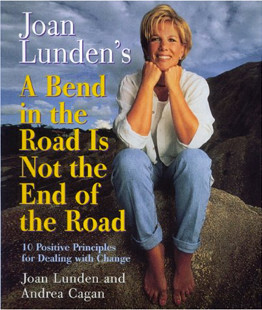 With millions of Americans watching, one of the nation's most popular television personalities, Joan Lunden, made a life-altering transition with grace and ease as she brought to a close two decades of hosting Good Morning America. For the first time Joan candidly reveals how she approached such an enormous challenge as an opportunity for growth -- and how you can, too. No one in Joan Lunden's weekly audience of 25 million could guess how frustrated she was with her weight. Three pregnancies, three kids, a high-pressure career, and an unhappy marriage seemed to undermine her every effort to lose weight. But then Lunden decided to fight back. Today, she's fit and trim - and feels great. Do you have a family member who requires constant care? You are not alone. 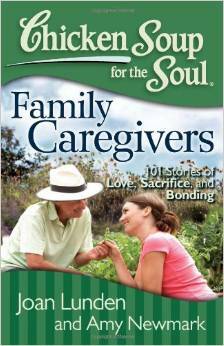 This collection offers support and encouragement in its 101 stories for family caregivers of all ages, including the "sandwich" generation caring for a family member while raising their children. With stories by those on the receiving end of the care too. 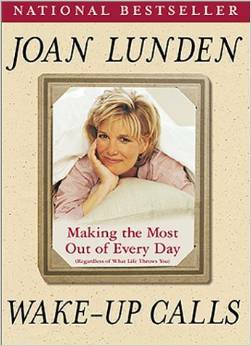 Joan Lunden provides the forward to Thanks Mom, 101 Stories of Gratitude, Love, and Good Times. A mother's job is never done, but in this book, mother's get the praise they deserve. 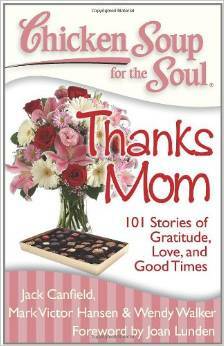 Children of all ages share their words of gratitude and appreciation in this new collection of stories for moms. Daughters and sons retell tales of love and learning, celebrating moms, their wisdom, and all that they do. Full of photographs and priceless, refreshingly straightforward advice, Wake-Up Calls reveals a "behind-the-scenes" Joan - candid, content, and clear-eyed - as she doles out the sage guidance that has kept her thriving throughout her long tenure in the public eye. Through a spirited mix of beautifully written ruminations on some of her most personal experiences, poems, and hundreds of priceless quotes from notable figures in all walks of life. 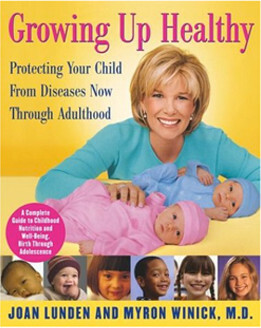 In a market glutted with books by medical authorities, this may be the first book to combine medically sound information (based on guidelines established by the American Academy of Pediatrics) with the advice and experience of one of America's foremost celebrity moms, Joan Lunden. Photos and drawings. 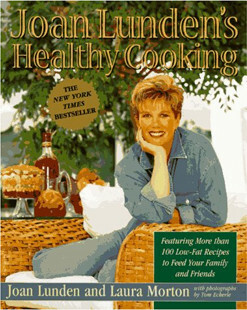 Joan Lunden has been co-host of ABC’s Good Morning America since 1980. She was born in Sacramento, California, and in 1973 became one of the city’s first women anchors. In 1975, she joined ABC’s Eyewitness News in New York City. 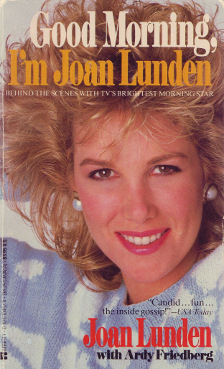 In Good Morning, I’m Joan Lunden, America’s #1 morning TV personality tells all, providing readers with a behind the scenes look at her family, her career, and today’s hottest celebrities.